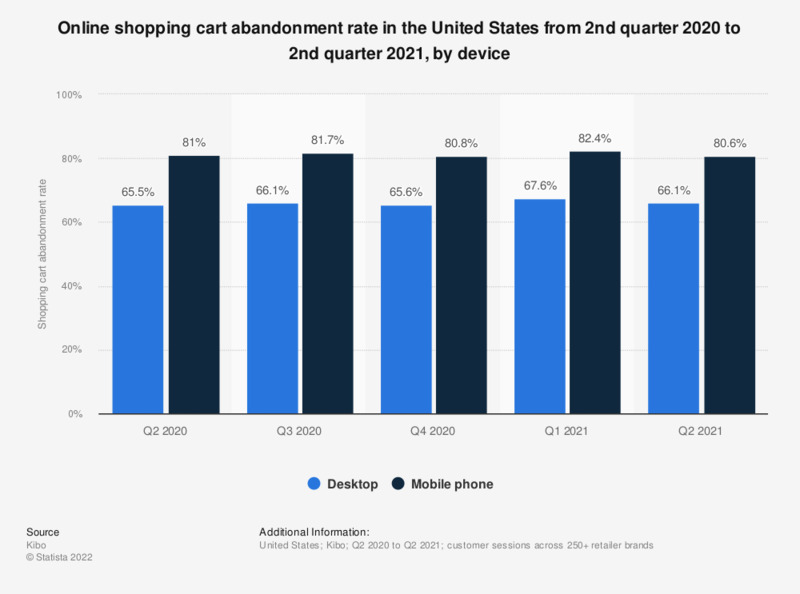 This statistic represents the quarterly online shopping cart abandonment rate in the United States. As of the fourth quarter of 2015, the abandonment rate was 75.6 percent, down from 77.3 percent in the preceding quarter. No data available from missing quarters.